Organised crime is changing and becoming increasingly diverse in its methods, group structures, and impact on society, reveals Europol’s 2011 Organised Crime Threat Assessment (OCTA), writes Infologue.com editor Bobby Logue. The bi–annual report, which assesses current and expected trends in organised crime affecting the European Union, explores how a new criminal landscape is emerging, marked increasingly by highly mobile and flexible groups operating in multiple jurisdictions and criminal sectors. “Organised crime is a multi–billion euro business in Europe and it is growing in scale. 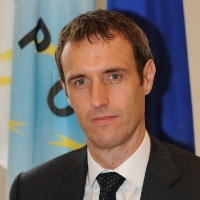 The further expansion of Internet and mobile technologies, the proliferation of illicit trafficking routes and methods as well as opportunities offered by the global economic crisis, have all contributed to the development of a more potent threat from organised crime,” says Rob Wainwright, Director of Europol. The report highlights the fact that criminal groups are increasingly multi–commodity and poly–criminal in their activities, gathering diverse portfolios of criminal business interests, improving their resilience at a time of economic austerity and strengthening their capability to identify and exploit new illicit markets. Activities such as carbon credit fraud, payment card fraud and commodity counterfeiting attract increasing interest due to a lower level of perceived risk. The OCTA estimates for the first time that organised crime groups derived more than 1.5 billion euro from payment card fraud in the EU. While the introduction of the EMV chip standard provides a very high level of protection for payment card transactions within the EU, lack of wholesale implementation in other regions has compelled EU card issuers to retain magnetic strips. As a result, half the fraudulent withdrawals made with cloned EU payment cards are currently made outside the EU. Strong levels of cooperation exist between different organised crime groups, more than ever before, transcending national, ethnic, and business differences. An increasingly collaborative atmosphere has also intensified the practice of barter, in which illicit commodities are exchanged rather than purchased with cash. This has made organised crime activities less visible to authorities targeting criminal assets. Internet technology has now emerged as a key facilitator for the vast majority of offline organised crime activity. In addition to the high–tech crimes of cybercrime, payment card fraud, the distribution of child abuse material, and audio visual piracy, extensive use of the internet now underpins illicit drug synthesis, extraction and distribution, the recruitment and marketing of victims of trafficking in human beings, the facilitation of illegal immigration, the supply of counterfeit commodities, trafficking in endangered species, and many other criminal activities. It is also widely used as a secure communication and money laundering tool by criminal groups. In geographical terms the most prominent organised crime activities in the EU are underpinned by a logistical architecture located around five key hubs. The North West hub retains its role as the principal coordination centre for drug distribution, due to its proximity to highly profitable destination markets, its well developed commercial and transport infrastructure, and its production capacity. The North East hub remains a focus for transit of illicit commodities to and from the Former Soviet Union and a base for violent poly–criminal groups with international reach. The rapid expansion in Europe, in the last two years, of the activities of Lithuanian organised crime groups is a notable feature. The leading role of the South West hub in cocaine and cannabis resin transit and distribution persists despite eastward shifts in some trafficking routes, and it currently serves also as a transit zone for victims of THB for sexual exploitation. The Southern hub continues to be prominent in criminal entrepreneurship, as a centre for counterfeit currency and commodities, a transit zone for victims of THB and illegal immigrants, and a base for some of the best resourced criminal groups in Europe. Of all the hubs the South East has seen the greatest expansion in recent years, as a result of increased trafficking via the Black Sea, proliferation of numerous Balkan routes for illicit commodities to and from the EU, and a significant increase in illegal immigration via Greece. These developments in the region have contributed to the formation of a Balkan axis for trafficking to the EU, consisting of the Western Balkans and South East Europe. New transit hubs are in the process of being formed in countries such as Hungary, where several Balkan and Black Sea routes converge. Albanian speaking, Turkish and Former Soviet Union criminal groups are seeking to expand their interests in the EU, and may exploit opportunities in the possible accession of Bulgaria and Romania to the Schengen Zone, and recent and prospective EU visa exemptions for Western Balkan states, the Ukraine and Moldova. “Europol’s OCTA is the definitive EU assessment of organised crime activity. Ministers, police chiefs, and policy makers will use it to set priorities and establish effective response measures. Europol looks forward to continuing to play a significant role in the fight against organised crime,” says the Europol Director, Rob Wainwright.